Generally speaking, most people wait until experiencing some kind of symptom before taking action. However, pre-symptomatic problems are common and, unfortunately, often remain undetected until it’s too late. Many patients come in for chiropractic adjustments even when they’re feeling perfectly fine. This is a wise choice since it can help in preventing future health problems. Have you ever taken a day off of work because you weren’t feeling well? You probably waited until you were better and then went back. 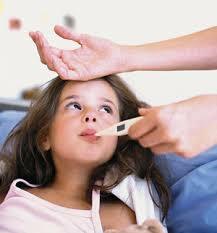 This has lead to a mindset which leads us to believe that if you’re sick, you must have symptoms. However, many health issues are the result of poor lifestyle decisions that don’t manifest symptoms until the problems are advanced. Have you ever eaten food which at first appeared to be fine, but then—after your digestive system got a look at it, so to speak—clearly was not? If you threw up, you definitely didn’t feel very good at the time, but it was a healthy response. Health is based on the proper functioning of our bodies, not our feelings. This is an important distinction. The functioning of the body is entirely dependent upon the ability of the nervous system to regulate all of the systems within it. Chiropractic treatments can aid the nervous system to continue to perform at its best. The primary component to a healthy lifestyle is a healthy nervous system. Health is not the absence of disease: it is the optimal performance of the body. Many things can promote health, such as having a proper diet, exercising regularly, and incorporating as many healthy habits into your daily life as possible. However, perhaps the most beneficial element of healthful living is to maintain a well functioning nervous system. Chiropractic treatments like the ones we offer here can help you to establish and maintain exactly that. Give us call at (860) 410-4488 so we can help you take your first step towards true health.